Documentation and SupportReleases 2015-11-03 ReleaseYou can now add new forms and tables from their respected menus. 1. 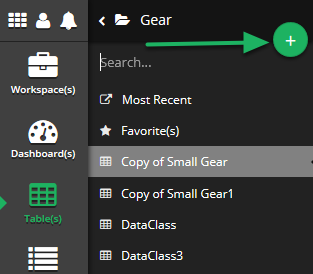 When you open the tables/forms navigation menu, the green 'plus' button allows you to enter the creation wizard. Prev: Now you can specify whether you wish to run the BP's when refreshing a connector table. Next: When setting up a table for backups, you can now select the time it will trigger each day.